Motivating students to read or encouraging good reading habits for your child can be really difficult. Some kids take to reading naturally, and others don’t have the interest. They may have had bad experiences at school, find the practice of reading frustrating, or just prefer to be doing something else. In these cases, encouraging kids to explore books can be a real chore. When it is hard to motivate students or your children to read, it can leave you wondering where you are going ‘wrong’. It is easy to take it personally, and you may find yourself comparing their reading habits to others in their class, your friends’ children, or even yourself at that age. The most important thing, whether your aim is in motivating students or your own children, is to encourage reading in a fun or relaxed manner. Some kids see reading as ‘work’. If this is the case, it is understandable that they don’t seek it out in their free time. Every child will bond with books in a different way, but here are some reading strategies that might be able to help. This will assist them in gaining literacy skills that will guide them in high school and beyond. When we think about getting excited for reading, we can split techniques up into two types of motivation: intrinsic motivation and extrinsic motivation. Of course, children will usually experience an overlap between these types of motivations, and they feed into each other. 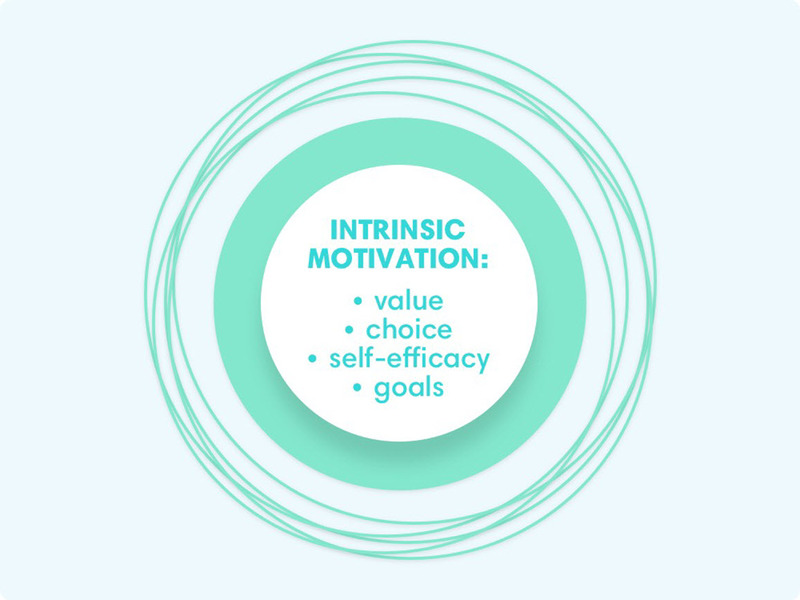 Grouping strategies into methods regarding intrinsic and extrinsic motivation helps us to make sure we are using variation. 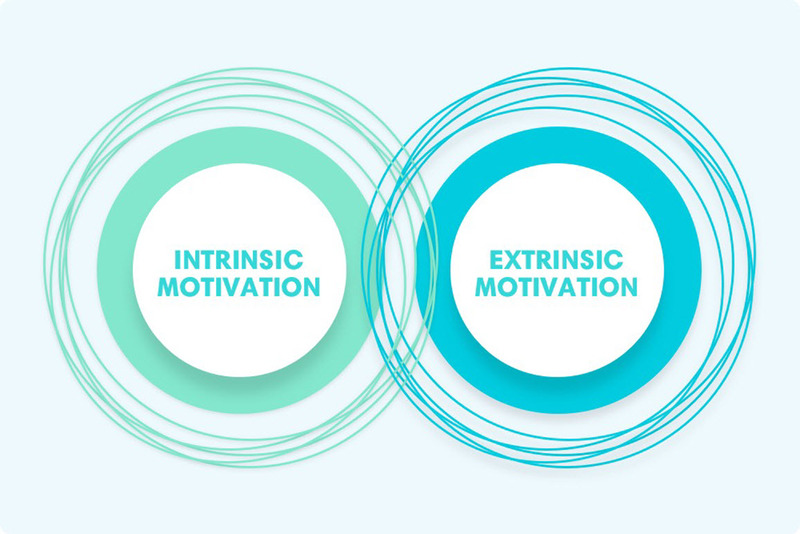 Intrinsic factors involve internal motivation that comes from the child themselves. While you can shape or encourage a child to be intrinsically motivated, in the end the main push comes from the individual. Within this type of motivation, we will discuss value, choice, self-efficacy, and goals. Extrinsic motivation refers to external factors, meaning that these are ways that you can change the reading environment for the child. As you will see, these often have the potential to create intrinsic motivation for a reader. 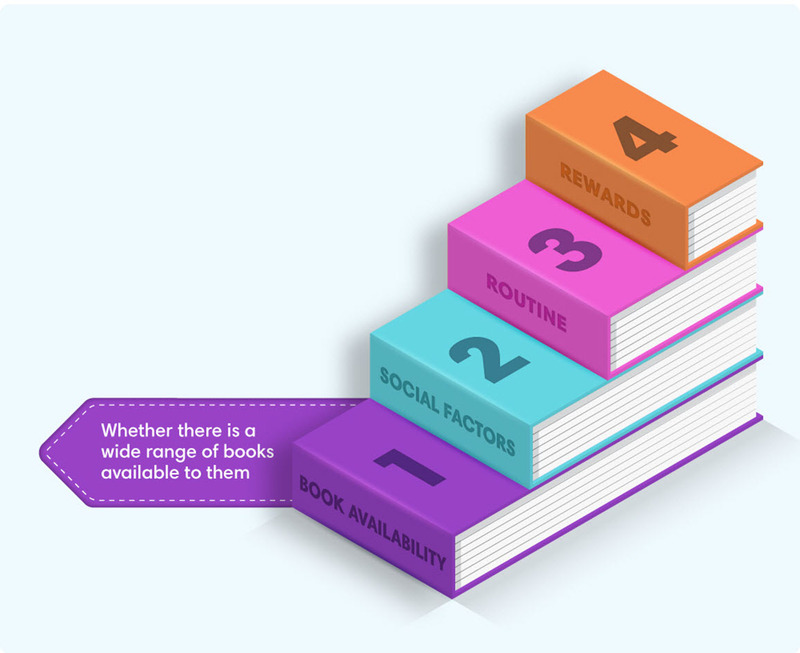 Here we will look at book availability, social factors, routine, and rewards. This step is all about what value the child puts on reading. 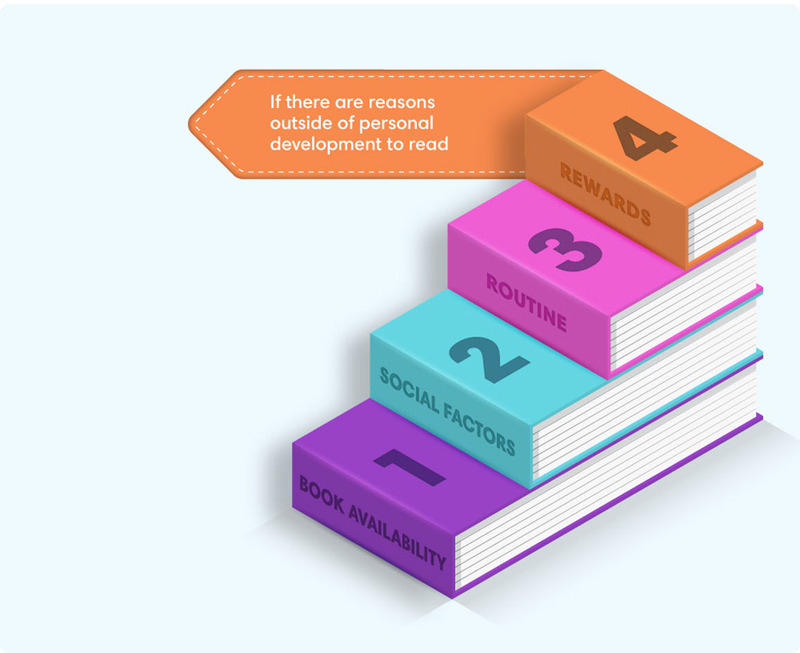 This can come from a lot of different sources, but it ultimately ends with whether the child has the internal drive to pick up a book and read independently. You can boost value by finding materials that your child is likely to be interested in to drum up excitement for reading time. Alternatively, you might want to pick something that they are working on at school. While they might not be too interested in this topic, they may see that this will make activities at school easier due to the new knowledge that they acquire. Talking about books will help as well, as this is something to bond over. 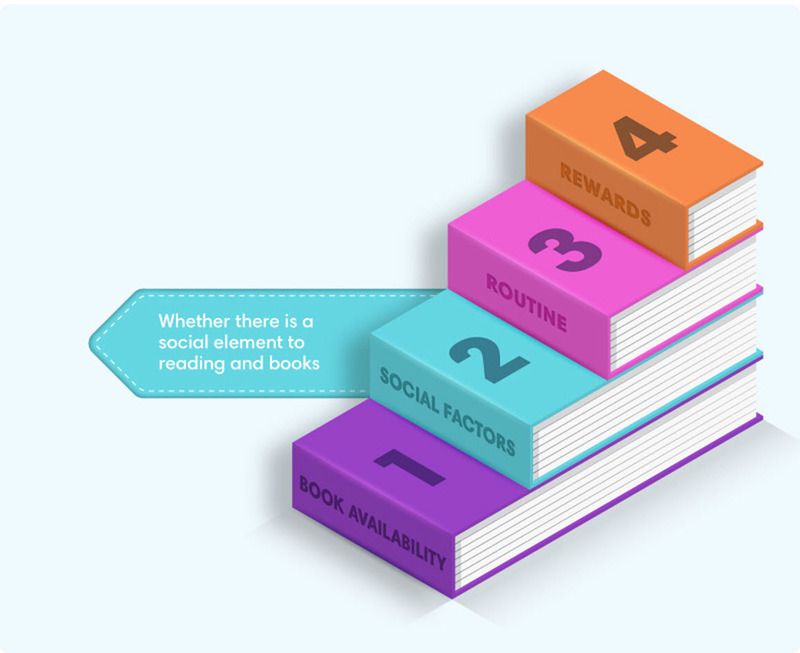 Numerous studies have found that reading habits pick up and drop off in direct relation to a reader’s sense of autonomy with materials. If you mean to motivate students to read when they are in younger grades, they are often more excited about this process as they have a wide range of choices, making it feel personalised. As students get older, motivating students to read gets tricky. They have to read specific books for class and these are often not the sort that they would pick for themselves. In the home environment, allow your reader to engage with materials that they can connect with. If these are comic books or ‘silly’ novels about poop and vomit, try not to worry. They are building their relationship with reading. If reading can be something fun that they do in their downtime, this is an excellent thing. This is a word often thrown around in reading education circles, and it is all about how up to the task the reader feels. If they are confident in their reading abilities, they will be able to approach a book with enthusiasm as it will not be a painful or disheartening experience. If they struggle with reading, they need to have strategies for how to cope with feeling inadequate for the task. This is particularly the case when reading out aloud or in a public setting. Needless to say, the capacity that a child thinks they have to read a book is not always the same as their skill level. Often they will be self-conscious for being put in a lower bracket of reading or because of comments they have overheard. For self-efficacy, encouragement and being aware of your child’s ever-evolving reading level is the key. 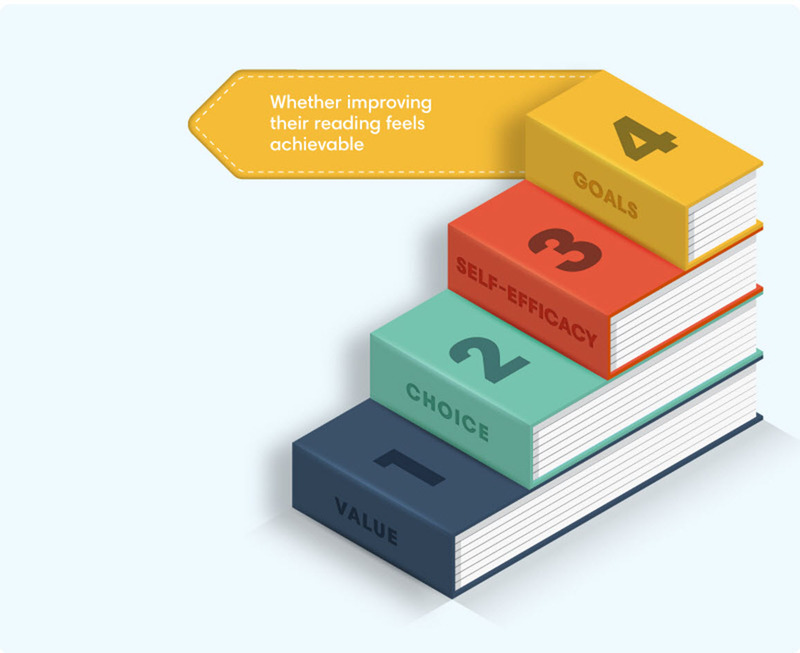 Helping your child to set and adjust reasonable goals is an excellent way to fuel their motivation for reading. At a young age, it is difficult to understand how to break a large task down into small, manageable pieces. It may also be difficult for them to judge how they are going with their reading aside from a level that they have been assigned or comments by teachers. 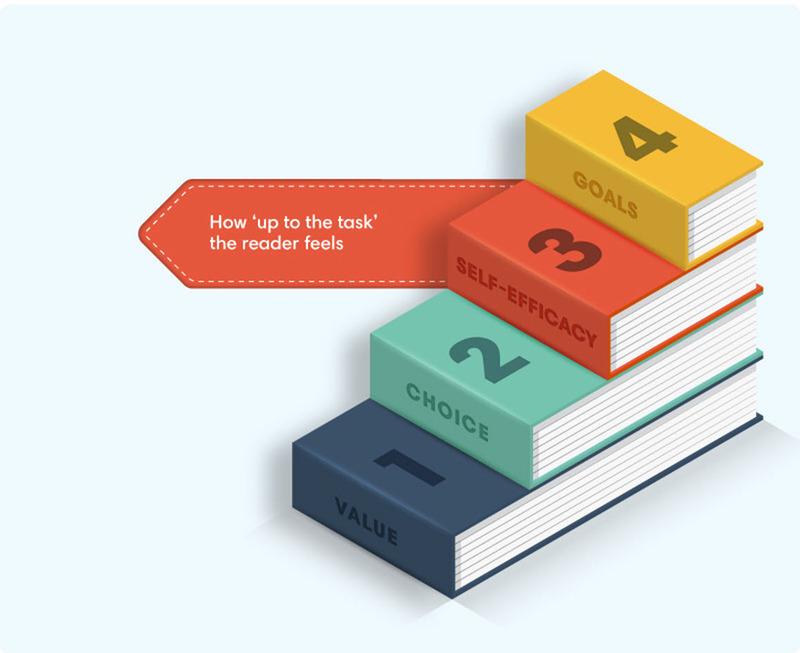 Setting goals with your reader will make them feel like the process is back in their hands. You can make sticker charts and posters to have this experience be even more tangible. If they are logging or ticking something every time they read, they are going to feel like they are taking small steps towards where they want to be instead of looking at a seemingly impossible, long journey ahead. Linking in with the intrinsic motivation of book choice is book availability. While your child will have options available to them at the school library, they may not feel confident about the types of books they should choose for themselves. Furthermore, it might be ‘embarrassing’ to go to the library at lunch to check out a book when their friends are playing. Give your readers other avenues so that they have a space away from school where they can choose books. Heading to the local library together is an excellent option, as this allows you to talk about the sorts of things that they would like to read for fun. This is a special experience that will also boost their perception of value as you have taken time out of your day to take them to this building full of books. Ebooks and reading apps are also a good option, as they are often cheaper than titles at a bookstore and offer a huge range of variety. Social factors are interesting parts of extrinsic motivation for reading, as they can have both positive and negative effects. Negative effects of social factors might include times that your reader has been put down by peers, or perhaps teased for enjoying reading. With the friendship group that your child is in, their peers might value other activities over reading, making it harder for your child to have an interest. A good way to balance this out is to make reading a social activity at home. By putting half an hour aside of a nighttime when everybody is in the living room interacting with books or newspapers or magazines, this can make reading feel like a fun, communal activity. This can be a private reading session where you each read your own materials, or a time when members of the family read something out aloud. By creating an opportunity for bonding and fun, this can open an environment that encourages healthy reading habits. 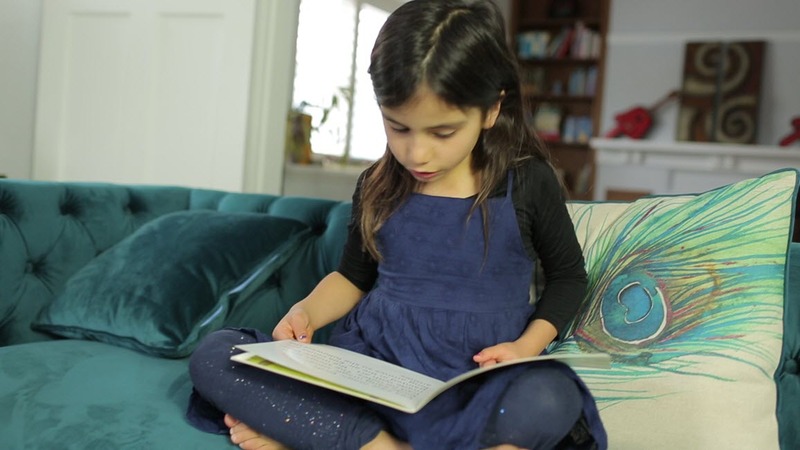 A sense of routine is a good step for motivating any little reader, but it is particularly important for those that find the experience difficult. 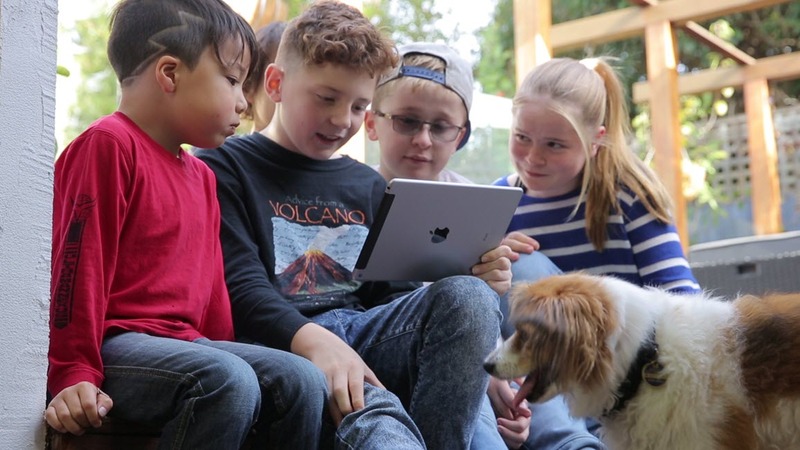 While they might not enjoy structured reading time at home at first, as it may ‘feel like school’, getting them in the habit of engaging with text-based media on a regular basis will help to alleviate some of the anxiety of reading. This should be a low-pressure time when they are free to read whatever they like, and it would be good for it to have a social element, such as having a casual chat about what they thought about their book afterwards. It is alright for a reader to express negative opinions about the things that they read, but encourage them to be able to justify these opinions. By interacting with books on a regular basis and in a more critical capacity, they will have a broader frame of reference for their future reading. For students who are struggling with other forms of motivation, the external rewards may be a good option. You can decide with your reader how this will be measured, such as by book, amount of words, or time spent reading. 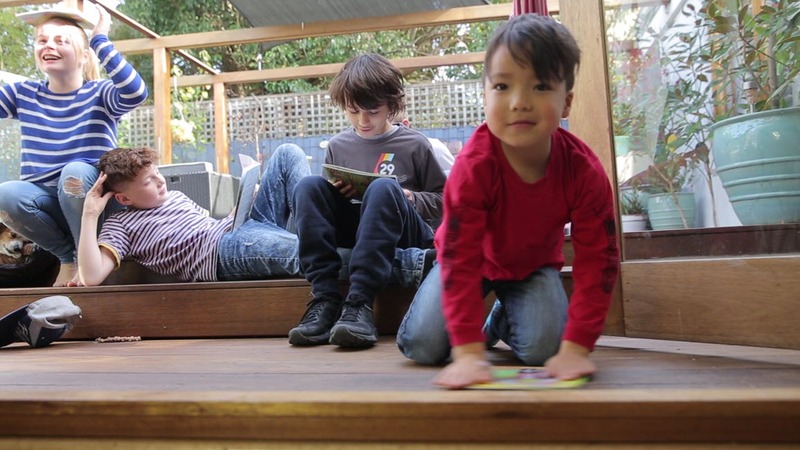 Pick things that they will really value working towards, like screen time or getting to choose what the family has for dinner. 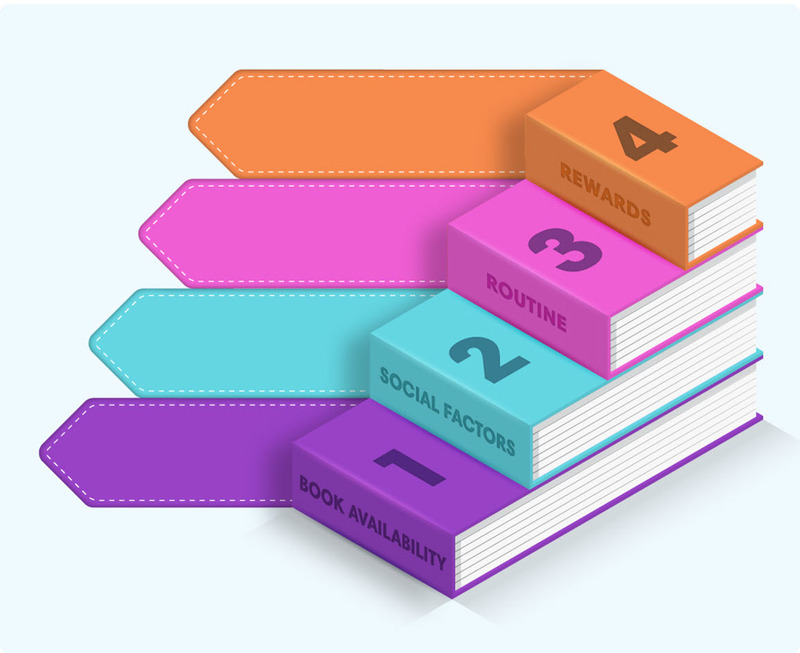 Make the increments between rewards short enough that they aren’t going to lose their steam. One option that you might consider is a reading bingo card. This is where you write different types of books on a bingo sheet and the reader needs to fill a row by ticking off squares. This can help them to read genres or materials that they might not usually consider, while still giving them a sense of choice as they get to determine their own path on the bingo card. By integrating some of these methods into your child’s reading practice, or using them as inspiration for more tailored methods for your reader, I hope that you can give a boost to their reading motivation. A love of reading has lifelong benefits and rewards, and it is well worth investing time and effort in.